Jardin Tiki, photo by Critiki member John T.
Critiki‘s images come from people like you: people who have visited these places, or have collected these artifacts, and are willing to share them. 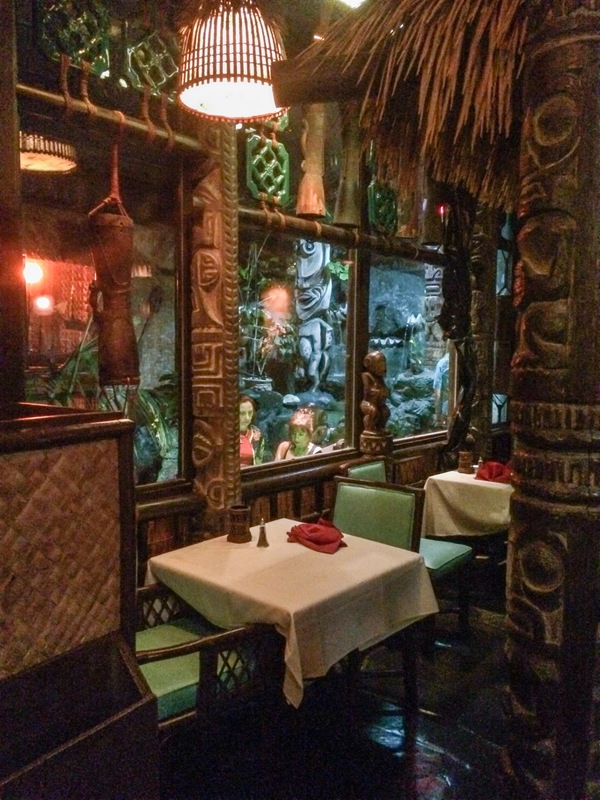 Short of going to these places ourselves, the pictures from Critiki’s contributors are the best way we have to experience these wonderful tiki locations. Each location in Critiki has a link for adding your own pictures. You’ll find it just below the main picture, an “Add Pics” action. 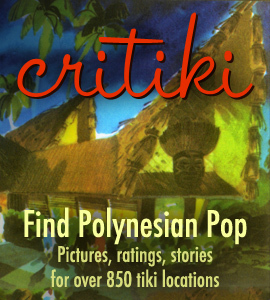 You’ll need to be logged in—if you haven’t already created a Critiki account, please do, it’s fast and painless. And spam-free! The minimum size for photos you upload is 500 pixels, but if you can go bigger, please do! As Critiki improves over the years, I hope to be able to serve larger and higher quality images. No need to type the name of the location, Critiki will automatically add that part after you hit submit. Simpler, shorter captions tend to be better. It’s just something to guide me when I write the final caption. “Moai at the entrance” or “Postcard” are great. I understand why so many people upload photos of their drinks, it’s the easiest picture to take (and once you’ve had that drink, you tend to get wrapped up in the moment and stop taking pictures, who can blame you!). If you’re able, try to review the pictures Critiki already has before your visit, so you know what’s already been covered. Critiki needs more pictures of the overall space—try to get back into a far corner to capture as much as possible. In particular, think of the angles that aren’t obvious. Also: grab some pictures of what the place looks like from the street, that can be a big help for people who are having to find it for the first time. If the place is too full of bodies, you won’t have an easy time getting a picture of the room! If people are there, that’s okay, just try to be considerate and leave their faces out of the shots if they’re close to your camera. Some places can look very different during the day vs. night, so pictures from both times are the ideal coverage. 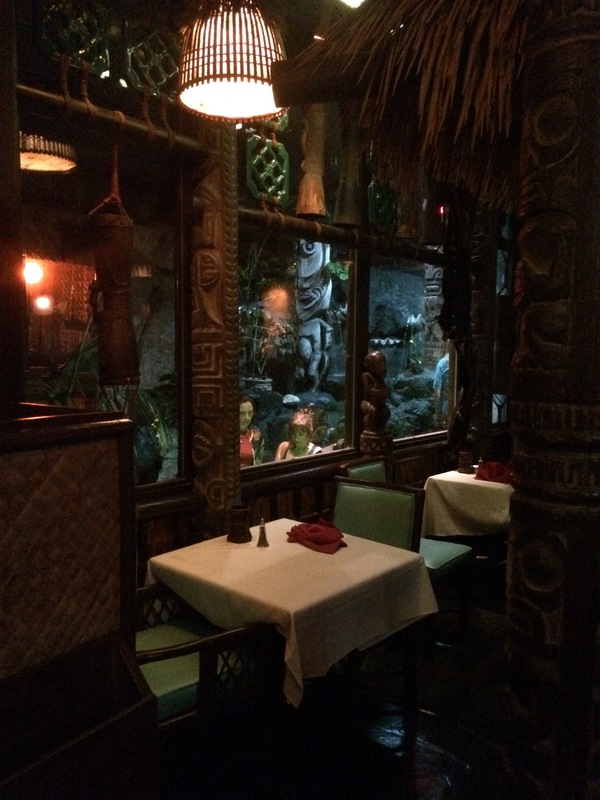 Tiki bars are dark, and it can take a little special effort to get good pictures. You’ll be tempted to use a flash… don’t do it! You won’t capture the best thing about the room: the ambiance. Plus you may disturb the other patrons. (If no one is around, go ahead and try a flash picture to see if you like what you’re capturing.) To get a picture without a flash, you’ll need a longer exposure time, but then things can get blurry. Pick up one of those little portable tripods, using a tripod with a timer can work wonders when you have a long exposure time. Also, in general, the bigger the lens the better… but if you’re paying attention to your lens size, you don’t need tips from me on taking pictures in low light. 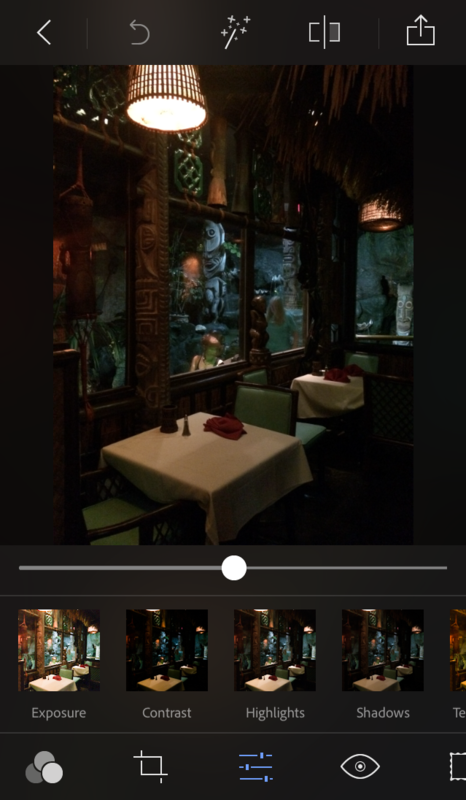 Tiki bars can be a particular challenge for the small lenses on smartphone cameras, but if all you’ve got is a smartphone, you can still get some great pictures for Critiki. You’ll want a little help from a photo editor: get Adobe Photoshop Express. It’s free! If you’ve ever been befuddled by Adobe Photoshop, Photoshop Express is a completely different app, and is incredibly easy to use. Once you have a photo opened in PS Express, skip the filters (they’re terrible) and go straight to the Corrections tab (the icon of sliders in the middle bottom of the app). From there, play with the Exposure, Shadows, Highlights, Temperature and other settings. There’s a Reduce Noise tool that costs a couple bucks, but I think it’s worth it. If you have a scanner, use it… the results are always dramatically better than a photo. If you’re taking a photo of a smaller item, and you’re finding that the picture is too blurry when you’re close to the object, look for a macro setting on your camera. It should handle those super-close-ups better. If there’s a bunch of blank space around your collectible, then it’ll wind up being small on the site. If you do a nice, tight crop around the edges, then your object will be seen in greater detail. I hope these little tips and tricks will inspire you to get out there and start documenting for Critiki. It’s greatly appreciated, by everyone who uses Critiki! p.s. — Sometimes people will send me their pictures, or a link to where they have pictures somewhere else online. This is a very thoughtful gesture, but I can’t use pictures that way. The only way to share your pictures with Critiki is to use the “Add Pics” link that can be found on each location’s page.